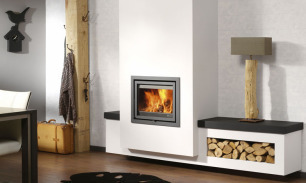 This inset fire has been specially designed to be built in to an existing fireplace. 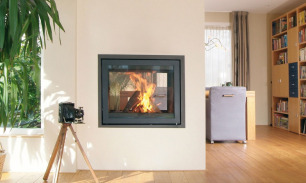 The Triple Low: three-sided glass panes and a three-sided flame picture. The see-through Instyle Tunnel has a rotating glass door on two sides. 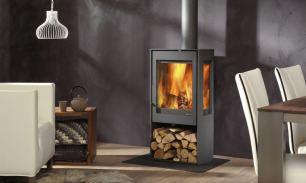 Kalle is a longstanding favourite model from the DG Fires collection of classic freestanding wood burning stoves. 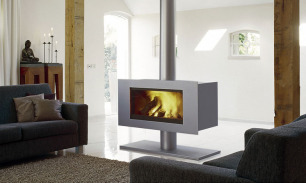 The Noa is striking in its functional, straight lines. 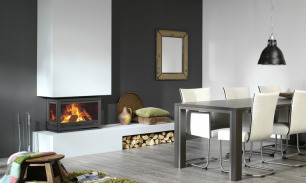 The door is subtly concealed out of sight on the side of the stove. 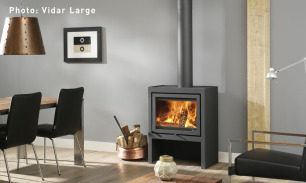 Vidar Small is the smallest model in the Vidar collection of elegant, contemporary wood stoves from DG Fires.